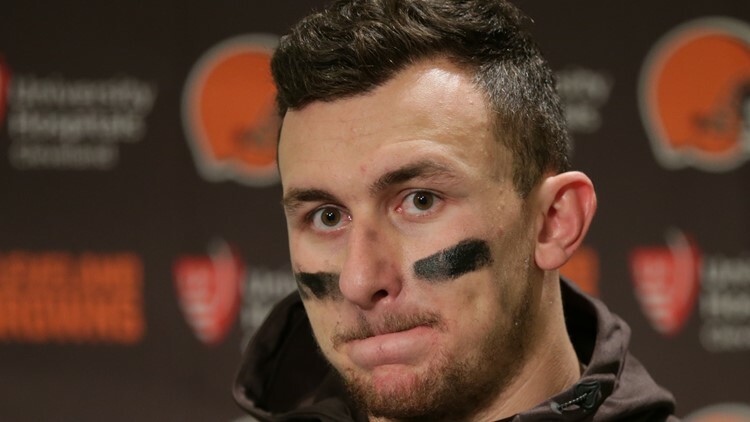 In an interview with The Dan Patrick Show, former Cleveland Browns quarterback Johnny Manziel revealed that he's now going by "John." Ever since he came into the public spotlight seven years ago during his Heisman Trophy-winning season at Texas A&M, Johnny Manziel has been called a lot of things. "John," however, hasn't often been one of them. But with his football career suddenly once again in flux, the former Cleveland Browns quarterback finds himself in search of a fresh start. And while it may seem trivial, he's hoping that a subtle -- but also significant -- change can help him obtain just that. “I got a little update for you -- I actually go by John these days,” Manziel said during an interview on The Dan Patrick Show on Monday. “I'm just kind of turning over the page and moving forward a little bit." Memphis Express quarterback Johnny Manziel is seen on the sideline during an AAF game against the Birmingham Iron at Liberty Bowl Memorial Stadium in Memphis, Tennessee on Sunday, March 24, 2019. If he's going to continue his professional football career, he doesn't have much of a choice. 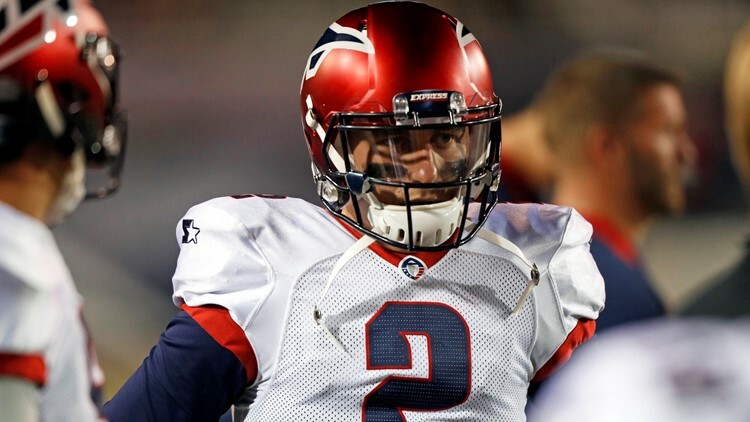 After his unceremonious exit from the Canadian Football League -- from which he's been banned -- earlier this year, Manziel signed with the Memphis Express of the Alliance of American Football. Not long after his lone appearance for the Express -- a 3-for-5, 48-yard, 20 rushing yards showing on March 24 -- the AAF suspended its operations, leaving the future of the upstart league in doubt. With Vince McMahon's XFL reboot still nearly a year away from its debut, Manziel's professional football options are now limited. Outside of a return to the NFL -- which would seem to be a long shot given the history of off-field issues that led to his exit after the 2015 season -- Manziel could give the Arena Football League or a similar indoor organization a try. Former Cleveland Browns quarterback Johnny Manziel has been released by the Montreal Alouettes and has been barred from signing with another CFL team. Manziel, for his part, isn't setting expectations for his football future, other than being hopeful he still has one. "My plan moving forward is to wake up every day to get back on the field, to continue working on my craft," Manziel said. "Whether that's working in San Diego with [QB coach] George Whitfield or continuing to try to get back to what I feel like I was, a little bit of a surgeon with the ball in my hand. "I feel good, and I’m going to continue to keep my head down and keep working on what matters the most to me, and that’s football." And if there is, in fact, another football contract in Manziel's future, it will be a new -- and perhaps more grown-up name -- signed on the dotted line.